Social media outreach has spearheaded the digital divide, and its impact has facilitated astounding industry growth. Every social engagement platform deserves care, efficient monitoring and a fine-tuned approach. Social media benchmark measurement has become a cornerstone for brands wanting to know how their efforts stack up and businesses are quickly adopting a data driven approach to something as personal as social media. A Forbes article researching a The CMO Survey’s grasp upon social media impact revealed 15-percent said they’ve quantitatively measured the impact of their social media outreach . Why are Social Media Benchmarking Platforms Important? It would be unfair to say social media is rapidly expanding. It has expanded and is now mainstream, businesses that fail to capitalize on social media as a marketing channel will be consigned to obscurity. Social media has become the modern world’s leading communication channel, and it’s vital for customer conversation. Every age bracket utilizes social media, and a variety of topics are grown within its confines. With such an existing dynamic, interesting and powerful solutions become available. While social media is, itself, a promising marketing component, understanding its impacts is vital. The world’s best social media practices can’t be “eyeballed”. They require intensive data, study and interpretation. Fortune 500 companies have learned to adapt and are creating a differentiated, powerful social media strategy on Twitter, Facebook and Instagram which requires attention to detail, and it requires a firm grasp upon platform dynamics. What Social Media Statistics Should be Benchmarked? Engagement can cover replies, shares, retweets, comments, likes and clicks. Reach can cover a content’s distribution through various social networks. Impressions highlights the media’s response to proposed material. Retention marks a page’s ability to keep “return visitors”. Additionally, expansive stats, like trends, earned promotions, competition and social leader engagement can be recorded through social media benchmark platforms — further increasing an analyst’s grasp upon their social impact. The above benchmarks are incredibly useful for brand optimization, too, as they depict a product or service’s total visibility and outreach. Marketers need spheres of influence, and they need highlighted consumer distributions. Social media benchmarking, in essence, is a dynamic market survey, one which is constantly updating and one which can help guide future strategy. Stats such as growth rate, community size, fan engagement can all be benchmarked against close competitors and the industry average. How can I Use a Social Media Benchmark Platform to Optimize a Campaign? Regardless of product or service, campaign optimization is important for increasing customer retention, product availability and price balancing. Social media benchmarking platforms help companies know where they stand based on the amount of effort they put in to a campaign and compare key metrics to competing companies . Unmetric offers campaign intelligence, where campaign posts of each brand are tagged and organized in manner which gives insight. 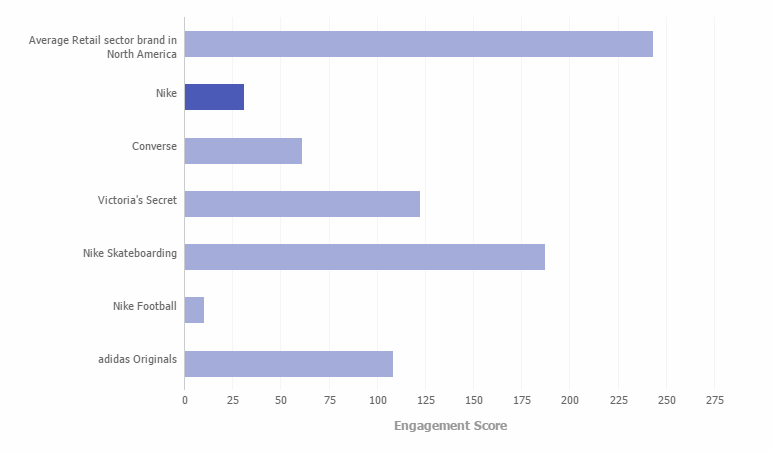 Each campaign comes with an average engagement score, helping one understand what type of campaigns are working. Do I Need a Social Media Benchmarking Platform? What reflects my campaign’s goal? How can I gauge my activities’ impacts? How can I increase sales leads? What is my landing page’s current traffic? How much does exposure affect sales? In essence, social media benchmarking is a powerful addition to a business’s classic, quantitative methods. It defines new strategies based upon beginning goals. Your project’s scale should always be defined by company needs, first. Once these needs have been established, restraints, scale and expansion tactics should follow suit to owned resources. Understandably, decision leaders constantly consider new trends, old choices and innovative strategies. If you’re implementing a new metrics analysis platform — or, if you’re considering utilizing social media for its powerful outreach, keeping up with trends is important. Approximately 62 percent of Internet-connected Americans use video-sharing sites. A Facebook fan page containing more than 100 fans is in the top 65 percent of all fan pages. 68 percent of B2B companies measure social media “success” by website clickthrough and traffic. Posting at least one Twitter post per day places one within the social network’s top 15 percent. By maintaining a firm grasp of the data being generated from your multiple online communities, your strategies can become refined and optimized as you look for incremental improvement on your benchmarks and the benchmarks of your industry. 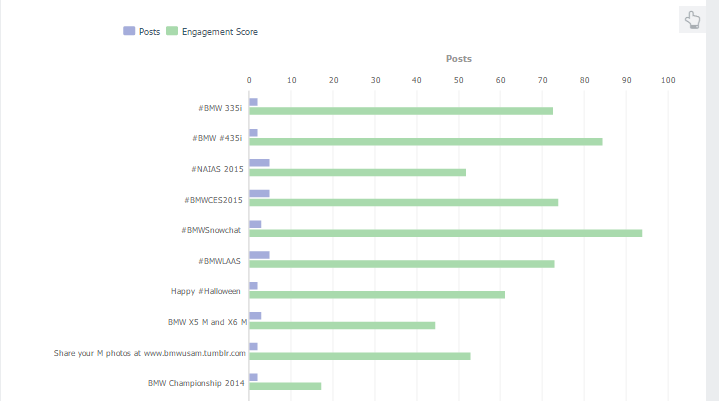 Unmetric helps you keep with the latest trends and helps brands understand what is engaging with their followers. Check out our “How to : Uncover the Instagram Lingo of your sector” article to see the full story. Thankfully, the modern world has created a wealth of opportunities through online connectivity. The marketing world’s newest endeavors will likely stem from social media presence in-part, helped by intelligent, user-friendly social media benchmarking platforms. Utilizing the industry’s finest tools, big-league players, entrepreneurs and newcomers, alike, have access to powerful information. When innovation and information meet application, success soon follows. Take all these awesome features for a spin by clicking the button below.